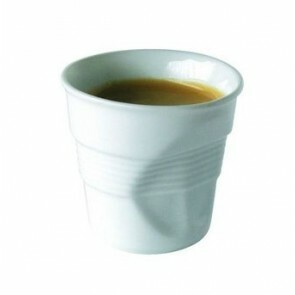 Find all the genius of the Revol design in the Revol porcelain crumpled cup which is already a cult model. For its design Revol has been inspired by the shape of a disposable cup with a little twist: the crumpled effect. This ingenious and resistant porcelain container can be used as an espresso cup, a capuccino cup, mocha cup, a coffee mug and can even be used for the presentation of your appetizers, dip, sauces and condiment or a as mini baking dish. 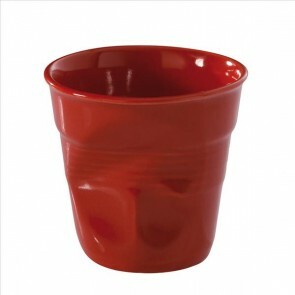 The Revol Crumpled cups are available in many colors and designs. 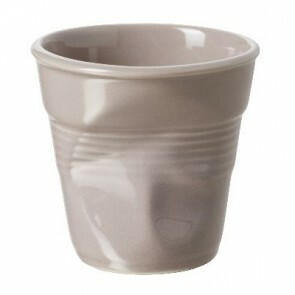 Why is the Revol porcelain crumpled cups the new it cup? They combine functionality, resistance and aesthetics. With Revol’s expertise in porcelain you are sure to have a long-lasting product with very refined finishes. With a very modern design they are a perfect mix of good quality materials and elegant or lively colors. They will undoubtedly bring some originality to your coffee breaks, appetizers and your special occasions. They are made of professional 100 % natural porcelain which is very resistant. A whole range of bold colours and creative modern designs. With Revol, glam up your table top or exceptional coffee breaks and tea parties. Multifunctional and ingenious, these cups have endless uses. Thick walled, they can be used as a coffee mug, for the service of hot drinks, an espresso tumbler or a cappuccino tumbler, but also to cook your small cakes or for the service of cold dishes like your fruit salads, ice cream or verrine appetizer! 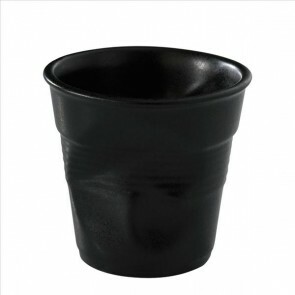 The porcelain Revol crumpled cup is impact resistant, withstands temperature fluctuations and is oven safe. Coffee tumbler, cappuccino cup, condiment cups, mini appetizer cups: with its infinite number of ever more innovative models this cup can do almost anything! More than just a cappuccino or coffee cup for hot drinks, it's a design gem! It is an amazing decorative object which will bring an original flair to your table decor. The Revol cups are available in 8 different sizes (including 2.75 oz (8cl), 4 oz (12 cl) or 6 oz (18cl) to meet your expectations. 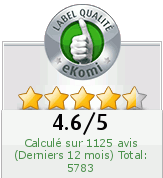 Several models with original colors and decorations that can be associated with the rest of your crockery and flatware. Find the this unique Revol collection on AZ boutique! Classic Revol crumpled cup in white porcelain, something fancier with bold colored cups or cups with original decorations such as Country Flag, the Mr. and Mrs. Collection which are perfect as a birthday gift, valentine’s day gift or Walk in Paris collection which create unique atmospheres in your restaurant or for your coffee time at home!